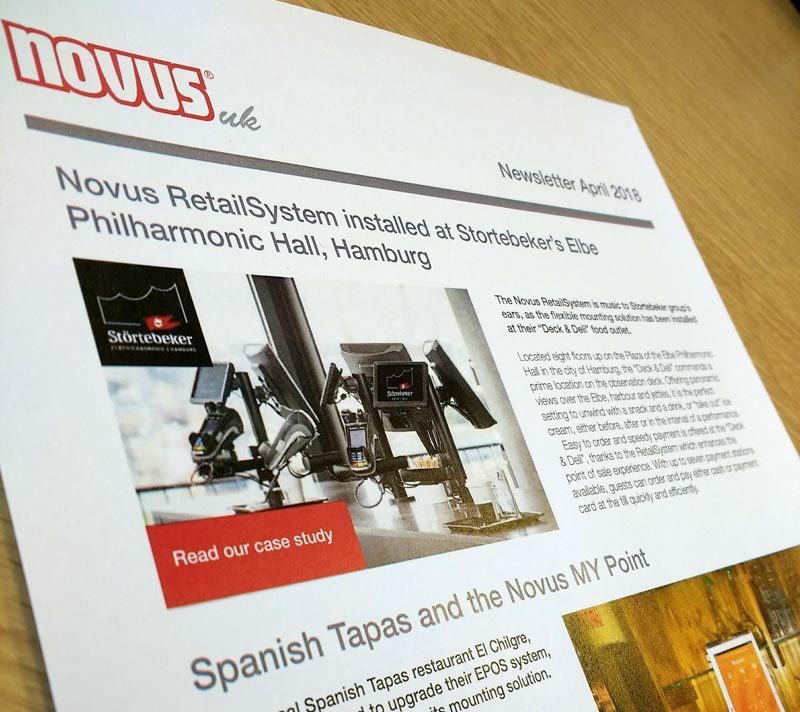 With plans and preparations in place for next weeks’ RBTE event at Olympia, Novus UK have published their first RetailSystem newsletter to mark the occasion. The newsletter brings you the latest case studies for the RetailSystem, which are now available to download on our website. Read how the RetailSystem has contributed to the speedy payment systems offered at the “Deck & Deli” food outlet at the Elbe Philharmonic Hall in Hamburg. Customers are able to order their food and pay for it quickly and efficiently, thanks to correctly positioned POS systems. Another fast food outlet too, leading German snack company Back-Factory. They pride themselves on providing fast food, quick payment, and the RetailSystem offers just that to their customers now. We also focus on local Spanish restaurant El Chilgre. The Essex-based traditional restaurant has used the MY Point tablet holder for their Epicure EPOS system so that they can take customers orders on tablets at their table, as well as using behind the bar. We also round up our latest products on offer, which will be demonstrated at the RBTE show next week. 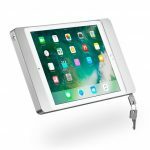 At stand F185 we will have the latest lockable tablet holders; the stylish TabletCase and the practical TabletFix, as well as the TabletSafe. We will also be demonstrating the TSS LiftTec Comfort Duo. This gas-assisted dual monitor arm is ideal for retail counters with a line of cashiers, who can move the screens to wherever they are needed . Finally, we have a demonstration model of the brand new floor lamp from Novus. 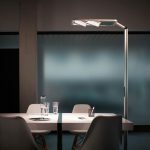 The Attenzia Space HCL is the latest in lighting available, having been awarded the reddot design award in 2018. Watch this space for some further information regarding this Human Centric Lighting solution. We look forward to seeing you at RBTE on the 2nd and 3rd May at stand F185.